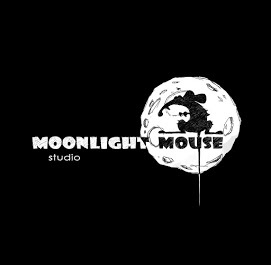 Moonlight Mouse - We make games! The stronghold of an ancient civilization has been invaded by hordes of alien raiders. Use powerful technologies of the Ancient and repel the attack of the enemy's armies! Play offline, without adverts, registration or SMS and lootboxes! In the year 1328 after world creation the Massive Magical Explosion hit the wondrous lands of Elinor, destroying the countries, eliminating creatures and killing people. But small group of brave men and women found themselves in a very strange place right after the Explosion. The brand new planet to explore and to live on it. You are the chosen leader of this group. The One, who can rule new country and rebuild the cities, restoring the life of your people and leading them to ascension of mankind. The worst that could happen with you is already behind. What can possibly goes wrong now, you may ask? But wise mage, your faithful adviser, warns you. “I teleported us” – he says, – “But the one thing I know about the teleportation is: it never works properly. So I'm terribly afraid that someone... or something can use the same path we were brought here. Someone, who value the dead people as a resource of his power, so you'd better find a gravedigger. Cause, you know, everybody dies from time to time. And for our own safety we must bury the corpses as deep as we can”.